Last month I was in London for the Visitor Studies Group annual conference, close to the first anniversary of the death of architect Zaha Hadid in March 2016. 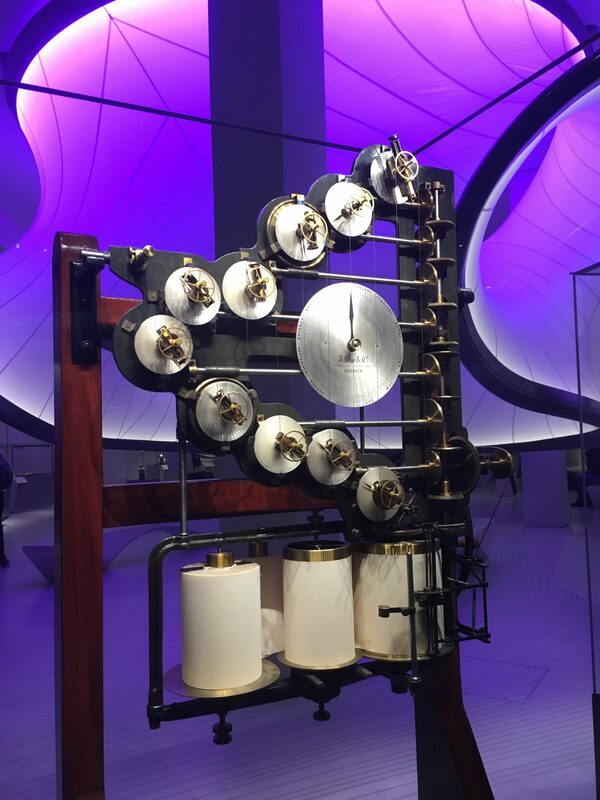 It seemed fitting tribute to visit the maths gallery at the Science Museum, or to give it it’s rather formal proper title: Mathematics: The Winton Gallery. 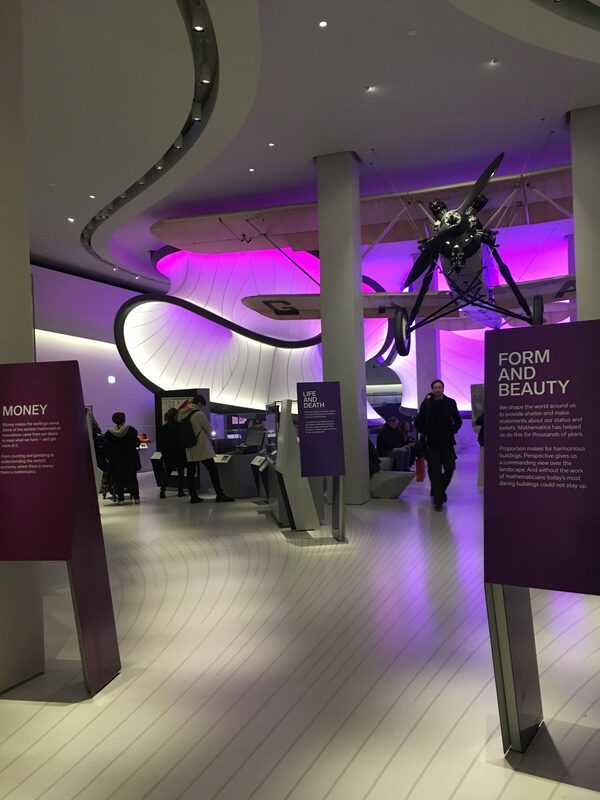 Opened in December 2016, the gallery is the first UK project by Zaha Hadid Architects to open since her unexpected death, and the only permanent museum exhibition she designed. Her first degree was in maths before she turned to architecture so when it was announced that she was to design the gallery I was more than a little intrigued to see what it would be like. There can be no doubt that the gallery is a thing of true beauty. I particularly love the contrast between the modern abstract design and the historical objects, the beauty of one enhancing rather than distracting from the inherent beauty of the other. I am happy to say that I completely disagree with this. My first degree is in maths and theoretical physics, and I found all the maths explanations in the gallery that I hoped for. For example, it’s long been a bugbear of mine that most museums that display sextants and other nautical navigation equipment shy away from explaining how they were actually used. But here, beside the objects associated with the Longitude story, there was the digital animation of exactly how they were used that I have always wanted to see. 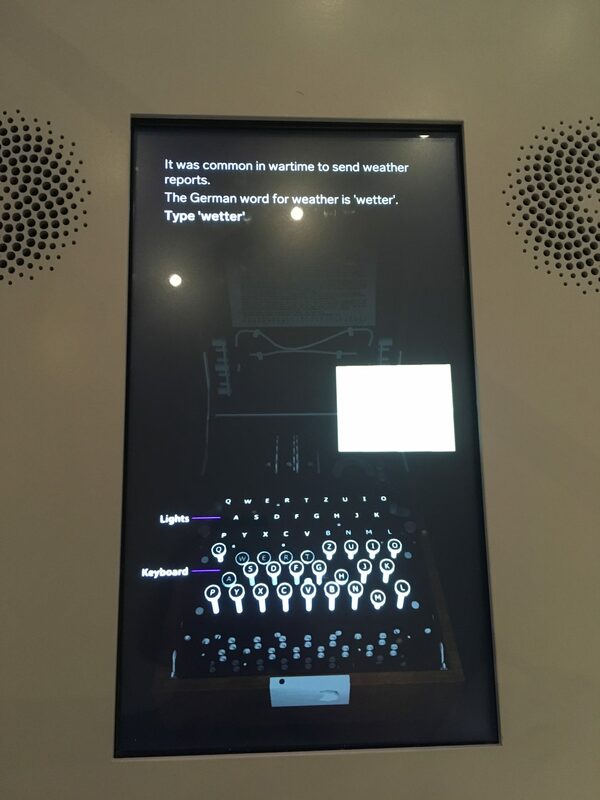 The same interpretation technique was applied to the Enigma machine, again a story which is often told in it’s social and historical context but often leaves me thinking ‘but HOW did the machine create coded messages?’ – a question now answered I’m pleased to say. I loved everything about the gallery, from the first ‘wow’ of the gallery aesthetics, it grew on me more and more every moment I spent there (a whole hour in the end!). Not only did I love the explanations of the maths, I loved the use of the written word. Sections on architecture were titled ‘Form and Beauty’ and on statistics and risk titled ‘Life and Death’, every panel title called out to me and drew me in further to the stories on display. There was good use made of video in the touchscreens, although sometimes the archive video was a bit buried in these terminals, I’ll be interested to see what the summative evaluation finds about how people use these. One of my favourites was the 70s Caltech video by the differential calculating engine. My favourite object and story had to be the Florence Nightingale display. I cannot believe I did not know already that she was a highly competent statistician before going out to the Crimea, it is such an important and powerful story about the presentation and of statistics, and about how women were and are viewed in history (Florence Nightingale the nurse is well-known, Florence Nightingale the statistician less so). In summary, as I’m sure you’ll have gathered by now, I loved the gallery. Congratulations to all the team involved! 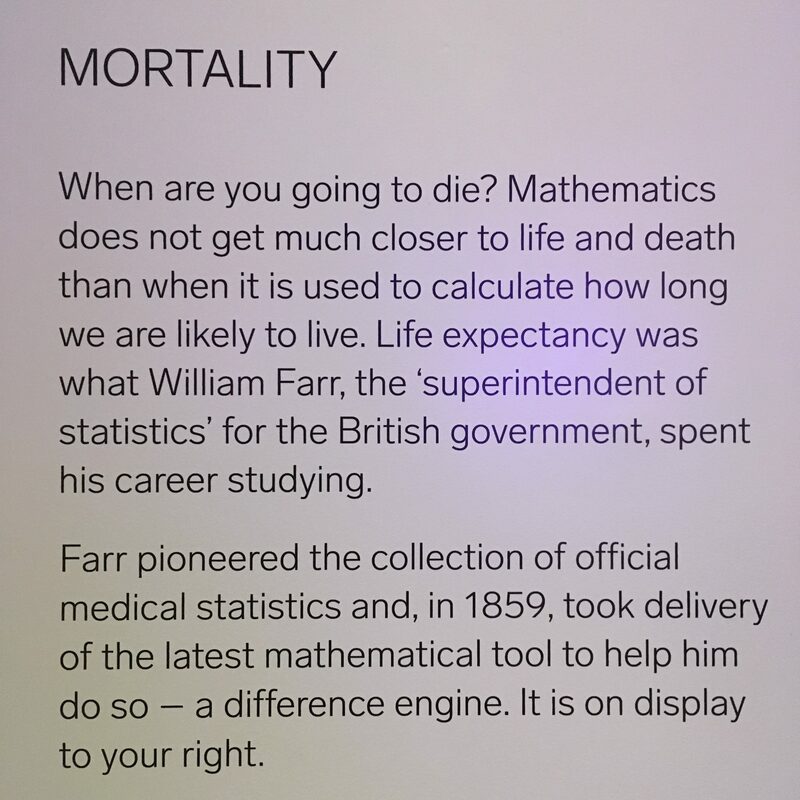 And if you haven’t yet been, whether you’re a maths geek or really not into maths at all you will find something here for you.